Looking for an equestrian lifestyle, horse farm, horse ranch or recreational horseback riding? Pine Ridge Estates in Beverly Hills Florida offers it all. A Pine Ridge home in this Citrus County Florida community offers peaceful, natural surrounding with rolling hills and lush, aromatic pine forests. 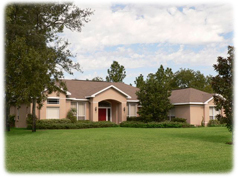 A home in Pine Ridge Florida can afford you the privacy you are looking for along with fellowship with other horse lovers. The Pine Ridge Equestrian Complex and Community Center offers professional paddocks, stables, corral, training facility and an endless number of equestrian and non-equestrian events. Residents may board their horses at the equestrian center, but many take advantage of the beautiful pastures and meadows that Pine Ridge Estates offers and keep their horses right on their own property, building their own stable and fences. 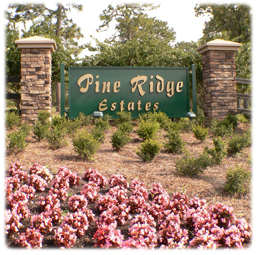 The countryside of Pine Ridge Estates is criss crossed with horseback riding trails, over 28 miles in fact. Often neighbors will ride from home to home for a visit and tie up to a good old fashioned hitching post. And if you have children or visiting grandchildren, what better treat and good wholesome entertainment is there than riding and caring for a beautiful horse or two. The Pine Ridge homes themselves are often larger than most fitting well with the large one to five acre lots. Many of the homes in Pine Ridge are magnificent examples of country living at its best with private gates, stone columns, immaculate landscaping and some with horse barns and stalls. For recreational vehicle owners another advantage of this deed restricted community is that RVs and campers are allowed to be parked on your property. If you are not interested in owning a horse, but just long for the quiet solitude of a country setting, then you too will be welcomed into the Pine Ridge community. There are plenty of other activities available. 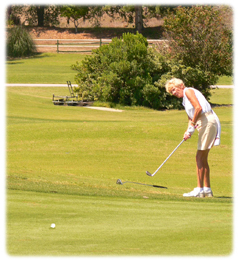 The Pine Ridge Golf and Country Club offers some spectacular golfing through the verdant pine forests and excellent food and drink at the country club restaurant. The nearby Gulf of Mexico offers up the oceans bounty with exciting saltwater sport fishing. Many residents of Pine Ridge Estates spend their weekends tending to their other love, gardening. An explosion of colorful flower gardens as well as fresh vegetables await many residents when they return home each day. What ever your hobby or interest, Pine Ridge Estates is a unique community of people who love nature and the country way of life. If you would like to learn more about Pine Ridge Estates and how you could find the perfect Pine Ridge home to suit your lifestyle, call Terri Hartman today to schedule an appointment.